Excited to post today. I was out shopping today at Walmart and I came across a portable battery pack charger on clearance. I had tried to use a friend’s Duracell Portable charger and while it would power the Pi, it only outputted 500mA so it wasn’t able to power my LCD. I took a chance and picked this battery pack up and what do you know…it worked! It’s a Kodak Power Pack KP1000 – 5v 700mA. 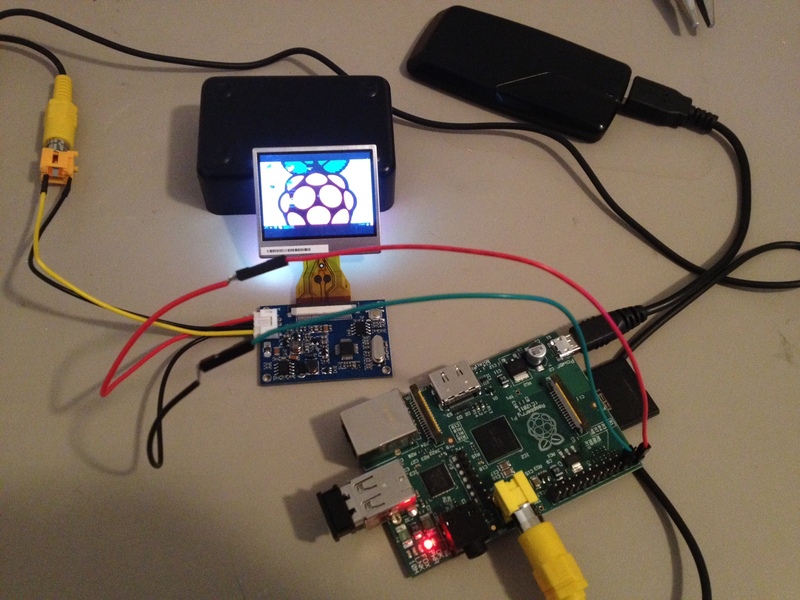 This entry was posted in hardhack, raspberrypi and tagged battery, pi, portable, raspberry, raspberry pi, raspberrypi, rpi by SSilver2k2. Bookmark the permalink. Great work on the portable Pi. I’ve got very similar equipment – could you tell me which pins you’re using on the Pi’s GPIO strip? I can’t quite see for sure from the photo. I’m using the 5V and GND pin. So pin 1 and 3 from the top right. What LCD are you using? What’s your battery life on that like with the monitor? about 1 hour and 10 minutes.